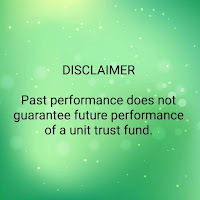 In Western financial markets, the origin of Unit Trusts can be traced back to fifty years ago, though their use as financial products has taken a great leap forward during the last 10-15 years, as there has been a greater awareness of the benefits of having a diversified portfolio under full-time professional management with the safeguard of Trustee supervision and statutory controls. It is an investment vehicle which normally suits all categories of investors in the medium and longer term periods. In the short-term and specialist categories, market volatility is more reflective. It is certainly one of the most efficient and cost-effective ways of participating in the market. The concept is that risks and rewards are shared by the investors employing the expertise of the professional managers. This is in conformity with Islamic principles and is already applied within the Islamic financial system. The main area of discussion, however, concerns what types of investment can be considered by Unit Trusts within the framework of the Islamic Shari'a. Mudaraba, which is a contract in which all the capital of a venture is provided by the Trust and the business expertise and management is the responsibility of a third party. Profits accruing are divided between the third party and the Trust according to the contractual terms and conditions. Murabaha, which is a contract in which a third party wishing to purchase equipment or goods (primarily commodities) requests the Trust to purchase such commodities at cost and add a reasonable profit, which profit shall accrue to the Trust. Musharaka, which is a joint venture agreement by which the Trust advances funds, which, added to a third party's funds, produces a participation in the equity of the venture. 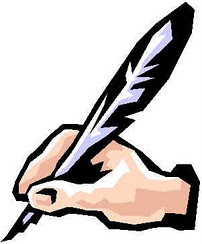 Profits and losses are shared by the parties in direct proportion to their contributions. Ijara and Ijara Wa Iktina, which is a contract under which the Trust finances equipment, a building or an entire project for a third party against an agreed rental, together with an undertaking from the third party to make payments to the Trust which will eventually permit the purchase by the third party of the equipment or project. The difference in value between the cost of the original finance and the total payments made by the third party would be for the benefit of the Trust. With the development of Islamic banking and finance internationally during this decade, these financial products have been effectively introduced and maintained under sophisticated accounting and computerised systems. International equities cover the major world markets. The question from the Islamic point of view is whether investments in international equity markets are acceptable under the Shari'a. There is no doubt that dealing in the supply, manufacture or service of things prohibited by Islam (haram), such as riba, pork meat, alcohol, gambling, etc. cannot be acceptable. But companies which are not involved in the above haram activities could be considered acceptable. The main objection against them is that in their own internal accounting and financial dealings they lend to and borrow from riba banks and other institutions, but the fact remains that their main business operations do not involve Islamic prohibitions. These companies may be owned and run by non-Muslim in non-Muslim countries. Business between non-Muslims and Muslims has continued from the Prophet Muhammad's time and non-Muslim individuals or corporate bodies cannot be expected to work under the Islamic code of conduct in their own business affairs. The profits and performance which determine their dividend and capital appreciation may anyway contain only a negligible amount of interest, if any. The sale and purchase of shares is a matter of investment and earnings, whilst there is no participation in management. Usually the number of shares held does not affect management control and this includes mergers, take-overs, joint ventures and venture capital projects with such companies. "If a company is not involved in the manufacture or sale of haram goods and its business is not based on interest (riba) or gambling, it is permissible for a Muslim to buy its ordinary shares and benefit from its dividends. However, buying its preference shares is not permissible. "Sometimes objections are raised about the purchase of such companies' shares, from the Shari'a point of view, on the ground that these companies borrow from banks, etc., on interest, but in these cases interest is paid rather than received, and so the element of interest is not included in the companies' profits. Doubts may be expressed that these companies open interest accounts with banks and include interest accrued on their deposits in their profits. But it can be argued that the amounts receivable from interest accounts are generally very small in comparison with the total profits and therefore rather insignificant, which is why the bulk of the profits may be accepted without hesitation. "Besides this, keeping in view the evolutionary period through which the Islamic financial institutions are passing, there is scope to deal with non-Muslim companies to this extent unless and until the Islamic institutions become so strong that they are able to deal with non-Muslim institutions on their own terms only." This combination allows individual Muslim investors, Muslim corporate bodies and Islamic financial institutions to have access to the international markets and provides opportunities for them to benefit from the real rate of growth in these markets. This participation will be controlled, from a Muslim point of view, in relation to its financial, sociopolitical and geographical aspects. This will help to build up international Islamic corporate and securities markets, which will help real benefits for Islamic banks and financial institutions to accrue, thus strengthening the world Islamic financial system. Western financial institutions are holding large sums of monies originating from Muslim countries. In the absence of a comprehensive Islamic banking system, the investors and depositors are fully dependent upon these institutions and have virtually no say in determining their attitudes. 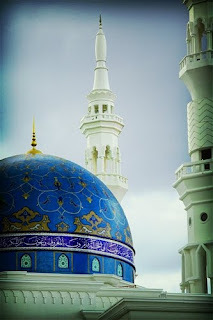 We have seen in various Muslim countries the development of Islamic bankiag catering mainly to local requirements during the last ten years, but there is little development in the international scene and in particular in investment management and participation in the international markets which is under the control of the Islamic system. Access to, and development of, expertise by Muslim institutions is essential in this area to assist the real international growth and competitiveness of the Islamic financial system. Indeed, it is here that Islamic Unit Trusts could provide the breakthrough. They will not only be able to take advantage of the substantial range of contemporary Unit Trust operations but will also be able to include varieties of specific Islamic products and transactions which are new to the Western way of thought. 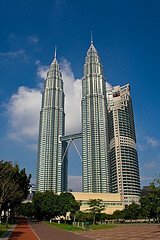 The compatibility of contemporary Unit Trusts will be greatly helpful in popularising Islamic Unit Trusts. Besides investors living in the Muslim countries, the Muslim population in Europe is estimated at over seven million. Similar numbers are living in the USA and Canada. Large numbers of these Muslims are permanently settled in these countries as citizens. They are well represented economically and include businessmen and professionals such as doctors, accountants, managers, bankers, teachers, engineers and scientists. Their social, economic and financial resources are, at present, under-utilised and their desire to deal with Islamic financial institutions, if such were available on a competitive basis, cannot be mistaken. They form a strong and potential group of Muslim investors for products such as Islamic Unit Trusts, and it is fair that they should have opportunities of investing in Western markets under an Islamically acceptable system. Western countries maintain a good financial environment based on a strong legal system which provides investor protection, targeted steady growth in the economy and political stability, with a flourishing industrial and commercial base served by experts with the relevant skills. The performance of Unit Trusts in the Western markets was highlighted by the Table of Price Changes' on an offer-to-bid basis, with income reinvested over 12 months and 3 year periods, prepared by Micropal for the Top Ten Unit Trusts in various categories as on May 30, 1988. According to the figures in the table, the October 1987 crash in the world stock markets did affect the extraordinarily high performance of Unit Trusts in the short term, but over a period of three years it did not make any significant difference. This position was also reflected by the M.S. Capital International World Price Index from Jan. 1977 to Jan. 1988. 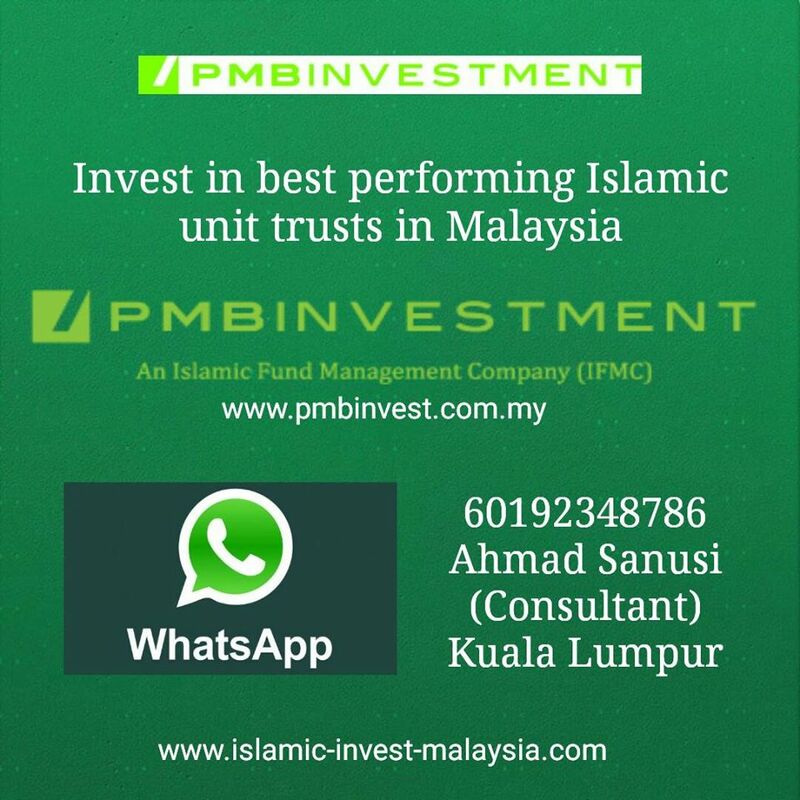 There will be no restriction to stop non-Muslims investing in an Islamic Unit Trust. While performance will be the investors' paramount consideration, it will be coupled with morality. A number of Contemporary Ethical Unit Trusts have been established in the U.K. and Buckmaster and Moore, Investment Advisers, have been providing investment advice for over three decades to clients who want to invest in ethical Unit Trusts, i.e. those which do not invest in the shares of companies trading in tobacco, alcohol, gambling, aims or in South African companies. Islamic Unit Trusts run parallel with Ethical Unit Trusts from the non-Muslim investors' point of view. It is interesting to note their advertising approach, which is summarised hereunder. "The Ethical Unit Trust specialises in seeking profits for Investors whilst conforming to certain ethical criteria. When clients invest in it they can be sure that none of the moniss will be invested in companies which engage in the arms trade, have holdings in South Africa, have gambling interests or manufacture and/or distribute either alcohol or tobacco. It combines Ethical and Equity Investment successfully. "Buckmaster and Moore (a fund management subsidiary of Credit Suisse) launched the Fellowship Trust in July, 1986 on the same ethical basis. It is sometimes suggested that the restrictions which are imposed by ethical investment may result in weaker performance. This does not seem to be the case if we examine existing Ethical Unit Trusts and Funds, which include M&G Charifund Income Units, the Central Board of Finance of the Church of England Investment Fund, the Charities Official Investments fund and the Buckmaster funds. They have all outperformed the Retail Price Index, FT Index and a large number of successful funds. In drawing a parallel between Ethical Unit Trusts and Islamic Unit Trusts, the important thing to note is that the determination of whether an investment is ethical or unethical is made by the fund managers, based on information received from various professional bodies, including the Independent Investors Responsibility Research Centre of Washington DC and other specially constituted committees of reference. In the case of Islamic Unit Trusts, the ultimate approval comes from the Boards of Religious Advisors, which consist of established religious scholars. In matters of the Shari'a (law), the interpretations of various scholars may differ, but in any particular operation, a group of religious scholars or a Board of Religious Advisors provide the Shari'a guidance and approval and this is binding on the respective fund managers. The most important difference between Ethical Unit Trusts and Islamic Unit Trusts is that Islamic Unit Trusts do not deal at all in the interest market and, in their operation, the receipt and payment of interest in any form is not permitted. The latest addition to the Islamic Unit Trusts is the Guernsey-based Umma Fund, which claims to be the first authentic Islamic Unit Trust in the Western markets. This may be taken as a general model for Islamic Unit Trusts, which incorporate a wide range of investment options and procedures based on growth and income, open-ended, redeemable, etc., covering international equity markets, currencies and properties. Through property funds, commodities and agreed modes of Islamic investments under the specific types of Islamic contract already mentioned (such as Mudaraba, Murabaha, Musharaka, Ijara and Ijara Wa Iktina), Islamic Unit Trusts must eventually cover the whole range of investment lines open to existing Unit Trusts and Mutual Funds. The above explanation shows that the concept and principle of the Islamic Unit Trust is not alien to contemporary Western markets. In fact, Islamic mudarabas operate on a similar basis and are among the main products of the Islamic financial system. Most Islamic banks are operating mudarabas successfully and it should be said that this system has been prevalent throughout Islamic history among businessmen. The mudarabas floated by Islamic banks and mudaraba companies established in Muslim countries, in particular Pakistan, are run on a modern corporate basis and up-to-date accounting and corporate laws are applied within the bounds of the Islamic Shari'a. During this decade, Islamic financial institutions have been set up at both national and international level and offer an alternative to the prevailing riba-oriented financial institutions. The International Association of Islamic Banks has been established to promote and coordinate the expanding cctivities of Islamic banks and financial institutions. To date, these institutions have met with considerable success and have cantinued to expand their operations, but they have not yet fully penetrated the financial markets of the West. The Umma (Muslim community) has responded to these ventures with enthusiasm and earnest support. As a result, Islamic banks and other financial institutions have-been extremely effective in mobilising funds, a statement borne out by the continuous and rapid growth of their clients' funds under management. The total clients funds and deposits with the Members of the International Association of Islamic Banks, as of March 1988, are US$7 billion, out of which US$5 billion are lying in short-term instruments, which includes currency swaps. Much larger amounts are available under the Islamic financial system if we also consider the funds with non-member banks and financial institutions, the Islamic banking system in Pakistan and the mudaraba and Islamic portfolios managed by various banks, including a number of European and American banks. This is despite the fact that the profit yield on these funds is modest compared to that available in contemporary financial markets and Islamic banks and financial institutions are looking for ways and means to be competitive.